For patients who suffer a traumatic brain injury, the risk of serious complications is high. Depending on the location and severity of the injury, patients could face the potential of permanent comorbidities or death. One of the most serious complications that a neurological trauma can cause is bleeding in the brain. Epidural Hematoma: This is a brain bleed that develops from damage to the middle meningeal artery. Trauma to the temple can cause bleeding to develop in the epidural space. When a brain injury is diagnosed, this bleed shows up as a lens-shaped bleed on a CT scan. Subdural Hematoma: This bleed requires significant trauma, such as being thrown from a car in an auto accident, to develop. 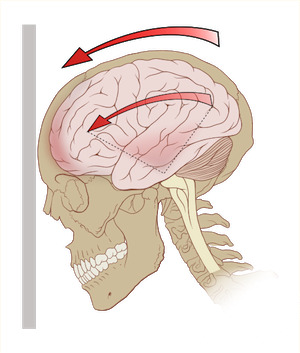 An acute bleed in the subdural space can lead to increased pressure in the skull cavity, leading to deadly consequences. While the major bleeds mentioned above receive significant attention, small bleeds matter as well. Although they may cause fewer symptoms of a traumatic brain injury, they still have long-term consequences. A large research grant was recently awarded to study these smaller bleeds. Specifically, researchers will analyze how the size and location of these bleeds impact the symptoms and complications that patients develop later in life. The idea is that, hopefully, the size and location of smaller bleeds will be able to provide physicians with more precise information regarding a patient’s prognosis. Insurance Claims: Health insurance companies may refuse to pay for some of the treatment process. Disability companies may be reluctant to honor their contract. A lawyer can help with the negotiation process. Medical Records: Medical records can be difficult to understand; however, the information is important. An attorney can help cut through this thick language and find what matters. Legal Compensation: Someone who has suffered a brain injury as a result of someone’s negligence has the legal right to pursue damages. An attorney can file the required paperwork and, if necessary, take the case to trial. There are deadlines for patients looking to file a claim with regards to a traumatic brain injury. It is prudent to start the process as soon as possible. I’m Ed Smith, a Rancho Murietta Brain Injury Lawyer. Despite the new research changing the face of traumatic brain injuries, these remain devastating circumstances for the patient and their loved ones. Anyone who is facing the prospect of a traumatic brain injury should call me today at 916.921.6400 for friendly, free advice. Follow this link to review some of my verdicts and settlements. My client reviews can be seen on Avvo, Yelp, and Google.